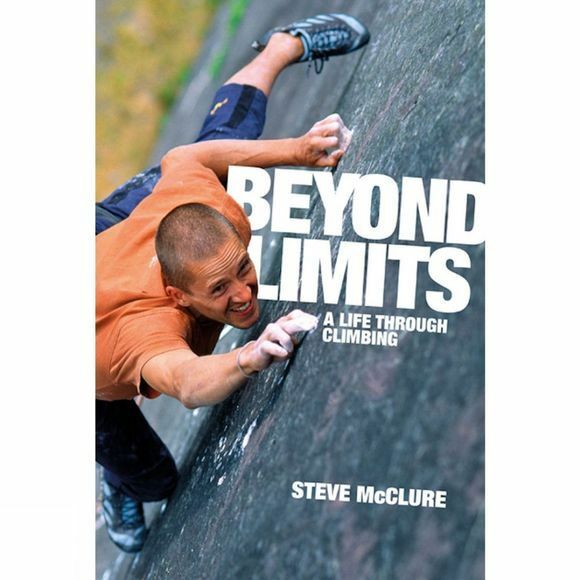 Beyond Limits is the autobiography of Steve McClure, one of the world's top rock climbers. From his childhood encounters with the sandstone outcrops of the North York Moors right up to his cutting-edge first ascents such as Overshadow (F9a+) at Malham and Mutation (F9a) at Raven Tor, Steve explores his deep passion for climbing and how it has dictated and shaped his life. Introduced to climbing by his parents at an early age, Steve quickly progressed as a climber, developing a fascination with movement and technical difficulty. Rapidly reaching a high standard, Steve became torn between the desire to climb increasingly bold routes and his hesitant approach to danger, with a series of close calls forcing him to seriously question his motivations. Searching for a balance between risk and reward, he struggled to find his place as a climber. Having dropped out of the scene, a chance encounter led to his discovery of sport climbing. Free from fear, Steve plunged headlong into this new style and surged through the grades. Pushing everything else aside, he allowed climbing to take over his life. He reached world-class levels of performance, but once again found himself searching for a balance between risk and reward, yet this time the risk was of losing what is truly important in life. As he searches for what really makes him tick, his climbing comes full circle and returns to where it started–climbing for the love of it. Beyond Limits is the story of a climber and his obsessive exploration of the sport, of finding a true passion, taking it to the limits and attempting to delicately balance this passion against other aspects of life to give the greatest rewards.